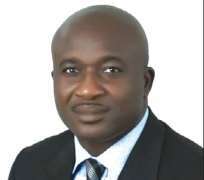 Delta State Commissioner for Information, Mr. Patrick Ukah, has expressed optimism that the permanent site of the Delta State Council of the Nigeria Union of Journalists (NUJ) would be ready for commissioning within the shortest period of time. Mr. Ukah, who made this assertion when he paid an unscheduled visit to the project site over the weekend, was delighted with the new speed with which work is going on at the site. The Commissioner for Information however directed that some parts of the roofing sheets of the building be changed to avoid leakages when the rains return. He showered praises on the State Governor, Senator Dr. Ifeanyi Okowa, for releasing funds for the continuation of the project, an action he said, is a manifestation of the determination of the governor to see that the project is completed, commissioned and put into proper use. The Commissioner for Information assured journalists in the state of the continued cooperation of the state government in providing a conducive atmosphere for them to perform their official duties.